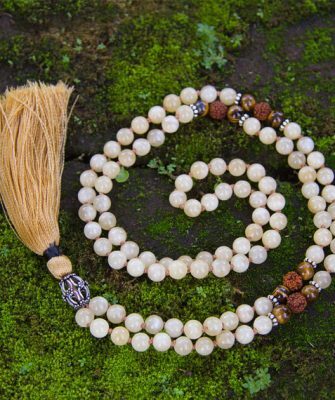 Since earliest times, Moonstone has been a tangible connection to the magic of the moon – an amulet of protection for travelers, a gift of lovers for passion, a channel for prophecy, and a path to wisdom. 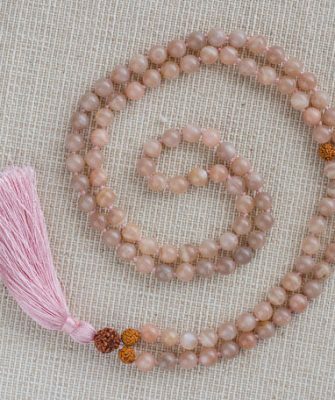 With a lovely shimmering and pearly look, it reflects the light from within. 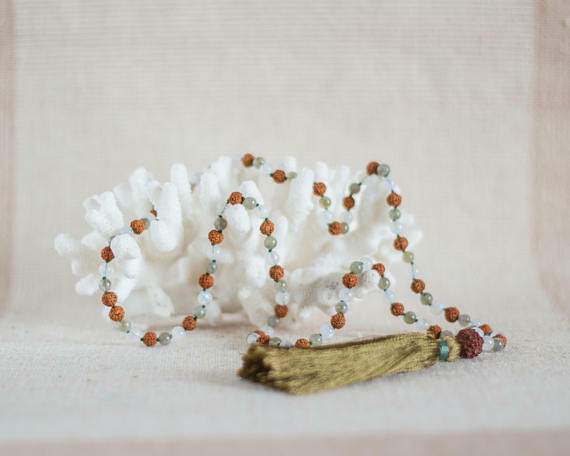 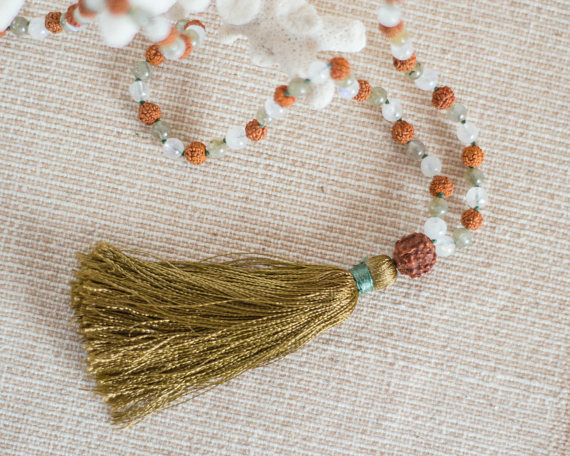 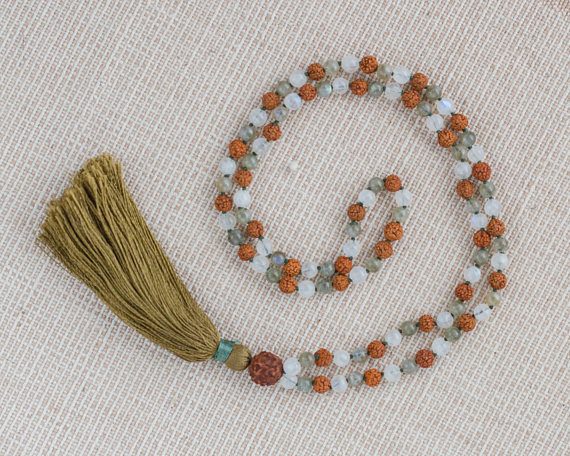 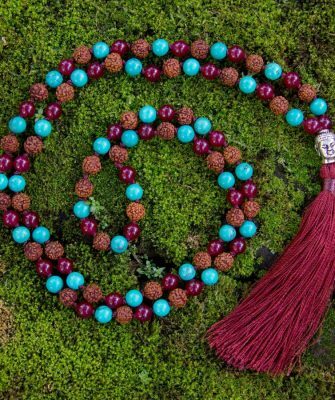 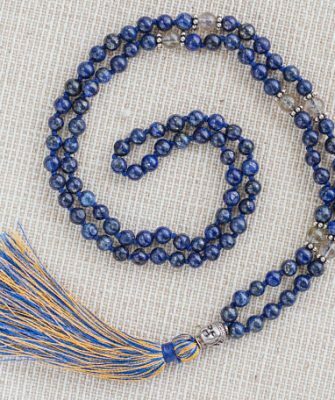 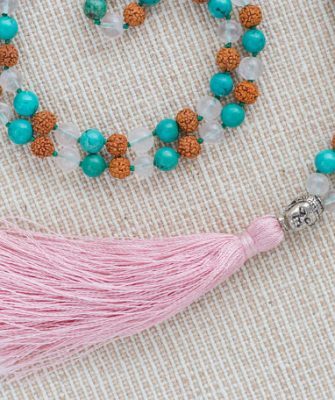 Mala measures 39 cm all the way from top to end tassel.